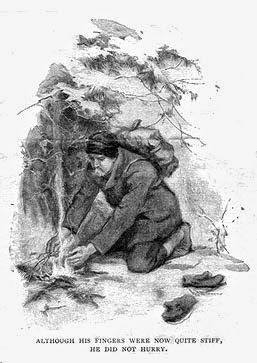 * Mungo Says Bah * Bushcraft Blog: Jack London - "To Build a Fire"
"This story is about a man on the Yukon Trail on a very cold day (-75°F, -60°C). His only traveling companion is a husky wolf-dog. The story describes the hardships the man is going through at starting a fire and trying to keep himself warm. The cold does not faze the man, a newcomer to the Yukon, who plans to meet his friends (who are referred to as boys) by six o'clock at an old junction. He walks along a creek trail, mindful of the dangerous, hidden springs, because getting wet feet on such a cold day is dangerous. The man continues on and, in an apparently safe spot, falls through the snow and gets wet up to his shins. He remembers an old-timer who had warned him that no man should travel in the Klondike alone when the temperature was less than fifty degrees below zero. After having this accident, the man becomes scared and immediately starts a fire to dry his wet clothes. He foolishly starts the fire underneath a spruce tree, which is covered with snow, and keeps pulling twigs from it to feed the flames. The agitation eventually upsets the loaded boughs, which dump their weight of snow onto the fire and extinguish it. He then tries to start a new fire, aware that he is already going to lose a few toes from frostbite. He gathers twigs and grasses, then tries to light a match with his frozen, numbed fingers. He grabs all his matches and lights them all at once, then sets fire to a piece of bark. He starts the fire, but accidentally pokes it apart while trying to remove a piece of green moss. The man decides to kill the dog and to put his hands inside its warm body to restore his circulation. But due to the extreme cold, he cannot kill the dog because he is unable to pull out his knife, or even throttle the animal. He lets it go. In a desperate attempt to keep himself warm, he starts to run, trying to let the exertion heat his body. However, he has no stamina, and soon he stops and sits down. He imagines his friends finding his dead body in the snow, then himself telling the old-timer that he was right: It was foolish to travel alone. A warmth covers him and he falls into a deep, deadly, relaxing sleep. The dog does not understand why the man is sitting in the snow and not making a fire to warm them. As night falls, the dog comes closer to him and smells death on the man. It trots away "in the direction of the camp it knew, where were the other food-providers and fire-providers." "DAY HAD BROKEN cold and gray, exceedingly cold and gray, when the man turned aside from the main Yukon trail and climbed the high earth-bank, where a dim and little-travelled trail led eastward through the fat spruce timberland. It was a steep bank, and he paused for breath at the top, excusing the act to himself by looking at his watch. It was nine o'clock. There was no sun nor hint of sun, though there was not a cloud in the sky. It was a clear day, and yet there seemed an intangible pall over the face of things, a subtle gloom that made the day dark, and that was due to the absence of sun. This fact did not worry the man. He was used to the lack of sun. It had been days since he had seen the sun, and he knew that a few more days must pass before that cheerful orb, due south, would just peep above the sky-line and dip immediately from view. But all this—the mysterious, far-reaching hair-line trail, the absence of sun from the sky, the tremendous cold, and the strangeness and weirdness of it all—made no impression on the man. It was not because he was long used to it. He was a newcomer in the land, a chechaquo, and this was his first winter. The trouble with him was that he was without imagination. He was quick and alert in the things of life, but only in the things, and not in the significances. Fifty degrees below zero meant eighty-odd degrees of frost. Such fact impressed him as being cold and uncomfortable, and that was all. It did not lead him to meditate upon his frailty as a creature of temperature, and upon man's frailty in general, able only to live within certain narrow limits of heat and cold; and from there on it did not lead him to the conjectural field of immortality and man's place in the universe. Fifty degrees below zero stood for a bite of frost that hurt and that must be guarded against by the use of mittens, ear-flaps, warm moccasins, and thick socks. Fifty degrees below zero was to him just precisely fifty degrees below zero. That there should be anything more to it than that was a thought that never entered his head. As he turned to go on, he spat speculatively. There was a sharp, explosive crackle that startled him. He spat again. And again, in the air, before it could fall to the snow, the spittle crackled. He knew that at fifty below spittle crackled on the snow, but this spittle had crackled in the air. Undoubtedly it was colder than fifty below—how much colder he did not know. But the temperature did not matter. He was bound for the old claim on the left fork of Henderson Creek, where the boys were already. They had come over across the divide from the Indian Creek country, while he had come the roundabout way to take a look at the possibilities of getting out logs in the spring from the islands in the Yukon. He would be in to camp by six o'clock; a bit after dark, it was true, but the boys would be there, a fire would be going, and a hot supper would be ready. As for lunch, he pressed his hand against the protruding bundle under his jacket. It was also under his shirt, wrapped up in a handkerchief and lying against the naked skin. It was the only way to keep the biscuits from freezing. He smiled agreeably to himself as he thought of those biscuits, each cut open and sopped in bacon grease, and each enclosing a generous slice of fried bacon." Read the rest of this in full and listen to it in audio format. 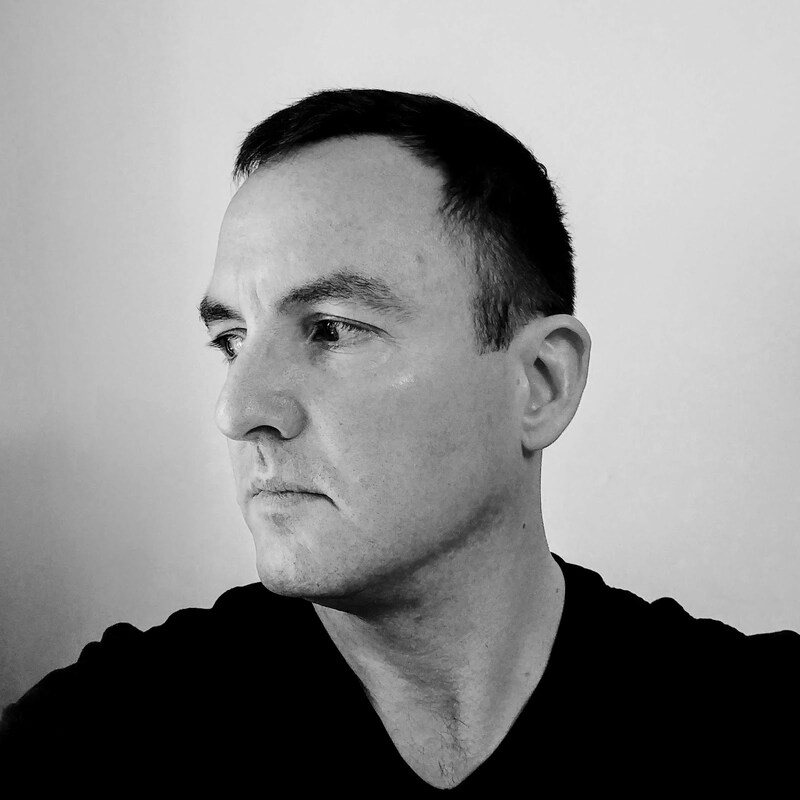 Also, have a free read of two other stories he wrote: The Call of the Wild and White Fang.